We, the clergy of the Western American Diocese, committed in humble service to the Gospel of Christ and obedient to the life of His Church, having gathered for three days in the presence of the myrrh-streaming “Hawaiian” Iveron icon of the Theotokos for our Lenten pastoral conference, humbly address ourselves to our faithful flock and all pious Orthodox Christians. Standing, as we have during these days, before the wonderworking icon amidst throngs of faithful from every land — from America, Russia, Ukraine, Greece, Romania, Serbia, Syria and many other places — who came to venerate the Holy Virgin and pray with us in spiritual unity, we could not help but feel at one and the same time the profound grace of God, Who draws all men together in the embrace of His saints, and yet also the great sorrow of His people, so many of whom are currently suffering on account of the affronts to the unity of the Church that we are witnessing in these present days. As such, we feel compelled to lift up our voice to you, the faithful, with spiritual clarity and encouragement on the path of truth, that none may be abandoned to fleeting despair and that all might retain their firm hope in God’s mercies and compassions which “never fail” (cf. Lamentations 3.22). As a Diocese, we stand in full support of His Holiness the Patriarch of Moscow and All Russia and in heartfelt obedience to the determinations and statements of our Holy Synod of Bishops, and we express our full confidence in these determinations as clarifying the true path of the Church in these turbulent times. They have expressed to us the need to cling firmly to the traditions handed down by our forefathers, whereby we shall find sure support and never give way to mere human authority or contrivance in matters of Orthodox life. In this regard, we lament the travesty that has recently unfolded in the sacred land of Ukraine, wherein the sole canonical Orthodox Church of Ukraine, under the martyric headship of His Beatitude Metropolitan Onuphry of Kiev and All-Ukraine together with his blessed co-brethren, has been granted the cross of grave suffering through the anti-canonical actions of the Patriarchate of Constantinople. Our hearts bleed for our brethren and sisters afflicted by these events, and we call all Orthodox peoples to fervent prayer on behalf of His Beatitude Metropolitan Onuphry, his fellow Hierarchs, and all suffering faithful in Ukraine and in every land. We are aware that in the minds of some people, real or perceived “political” motivations for the events in Ukraine are sufficient to claim that the whole matter is secondary to pursuing an Orthodox life elsewhere in the world, and so we feel a pressing need to clarify, for the spiritual benefit of all believers, that the issues identified by our Synod, by the Holy Synod of the Patriarchate of Moscow and by a host of other authorities among the various Local Churches, have direct bearing upon the practical spiritual state of Orthodox Christians throughout the world. This is especially the case in the Diaspora, where we feel the intimacy of strong bonds with our brethren of the other Local Churches and jurisdictions, with whom we live side-by-side, who stand with us before our sacred relics and with whom we lift up common prayers to such luminaries of diasporal life as St. John the Wonderworker of Shanghai and San Francisco. This sorry state has come about because, as our Church and others have identified, the once-great Patriarchate of Constantinople has stepped well beyond any realms of ecclesio-political propriety and undertaken activities that go against some of the most fundamental notions of Holy Orthodoxy. How can any pious Christian not lament the convening of an uncanonical council? Or one patriarchate’s stating, falsely and without any authority whatsoever, that ecclesiastically-defrocked and anathematized schismatics are “rehabilitated,” and then entering into Eucharistic communion with such individuals? Or claiming that laymen with no Orthodox ordination are not only clerics, but even naming one as “primate” of a new para-ecclesiastical structure that by unilateral fiat one patriarchate alone calls an “autocephalous church,” setting this schismatic layman as celebrant over the Holy Mysteries? Regrettably, these are but a few among a litany of offences against the very nature of Orthodoxy that we witness in the current activities of the Patriarchate of Constantinople; and as pastors within the parishes of this diverse region of western America, we recognize that these pose immediate spiritual peril to faithful throughout the whole Orthodox world, since what is being enacted as “Orthodoxy” is in fact profoundly discordant with true Orthodox life. A lie, presented as truth, only leads men astray. 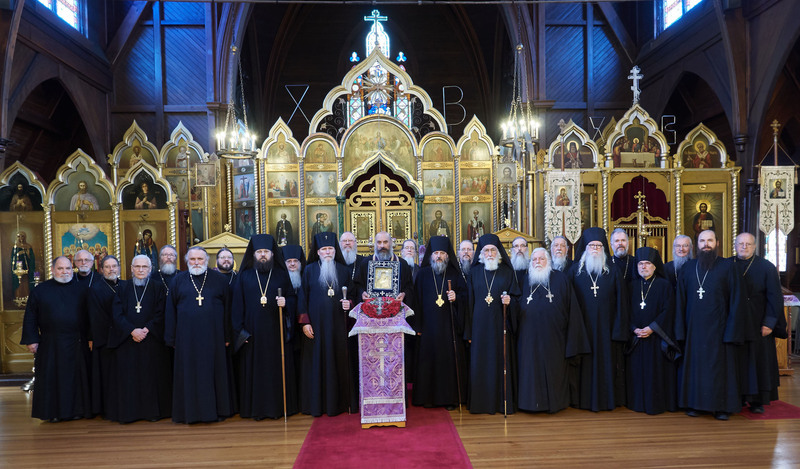 We recognize, as our bishops and so many others have elucidated, that the Patriarchate of Constantinople has undertaken these steps as an extension of an aggrandized, false view of its place in the Orthodox world. While for many centuries, the Orthodox oikoumene has, by fraternal recognition, granted the Church of Constantinople a place of distinctive honour among the Local Churches, considering it as “first among equals” (primus inter pares) in a spirit of brotherly cooperation and bestowing upon it certain privileges that are befitting one thus acknowledged by her brethren, this has always been based on her adherence to Orthodox canonical norms and traditions. To those among the faithful who now question whether the position of the Patriarchate of Constantinople thus ought to be considered of special authority in terms of its present actions, we feel the pastoral compulsion to make clear that, when such a patriarchate departs from the solid ground of canonical Orthodox life, that authority is lost together with the loss of a shared life with the other Churches. We are anguished by the fact that the Patriarchate of Constantinople has of late expressed, in official documents and statements, that she is “first without equals” (primus sine paribus), that others “must” submit to her, and that she, as if by some ontological right of her existence, has a kind of authority over the other Local Churches. This is delusion and falsehood, as we have seen confirmed in the lack of support of any Local Church towards such pretensions. How much more tragic is this when we see the outcome of the “legitimization” of schism, enacted unilaterally, which has incited events in foreign lands that lead to persecutions and illegal seizure of churches, and so many other sufferings. The Patriarchate of Constantinople, in acting in such a manner, clearly no longer speaks on behalf of the Orthodox oikoumene. For the sake of all our faithful, we must proclaim the truth clearly: those who have been anathematized by the Church remain anathematized; those in schism remain in schism until they repent and return to the Patriarchate from which they separated themselves; those “ordained” in schism are not ordained and have no clerical status; false “ecclesial” bodies composed of schismatics do not constitute a “church” and will not be recognized as one; and a patriarchate that defies the whole body of Local Churches, insisting upon its own will and demanding servile adherence to it by others, is in no wise “Ecumenical,” even if, in the past, it has been worthy of that recognition. This is why our Church has found itself unable to maintain communion with the Patriarchate of Constantinople. This is a profoundly sorrowful situation, and yet one that is nevertheless entirely justified and appropriate, given these dire circumstances. Until there is a change of heart in the Patriarchate of Constantinople, we remain guided by the teaching of the foremost of the Apostles, St. Paul: “Now I beseech you, brethren, mark them which cause divisions and offences contrary to the doctrine which ye have learned; and avoid them” (Roman 16:17). In the face of the open proclamation of schism as Orthodoxy, we cannot remain united with those who will not submit to the voice of the Church. For this reason, we feel the need to urge all towards a deepening of prayer on behalf of those affected by this dire situation. 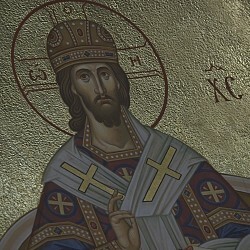 To all our faithful: pray for the unity of the Church in truth; pray for His Beatitude Metropolitan Onuphry and the faithful of Ukraine in your domestic prayers, even as we do so together in the Divine Services; open your hearts in compassion for those imperilled by schism and conflict, that God may heal the wounded and uplift the broken-hearted. And then, brethren and sisters: Stand fast! Do not be disheartened, nor let your faith be weakened. Yes, we are seeing “days of evil” (Psalm 49.5), but God never abandons His Church, and by an unwavering adherence to our sacred tradition, with hearts unhindered by bitterness or despair, we shall behold in due course that the Lord of peace Himself shall heal every pain of schism, purifying His Church, rendering her spotless and undefiled in this world and in the next.